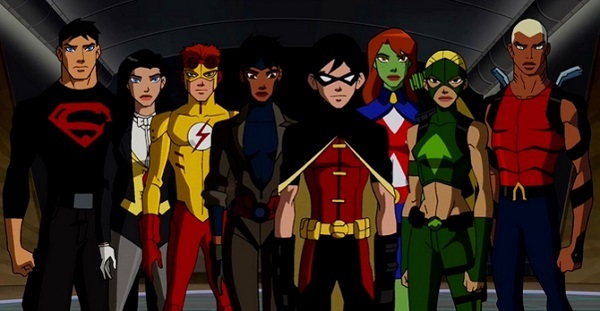 When Young Justice came to an end in 2013, its loss left its rabid fanbase a glimpse of a third season it is very unlikely to ever see come to fruition at this point now three years later. Planned for a minimum three season run since its inception, carefully laid subplots were interwoven within the series since its first season. The series, which featured the sidekicks of the Justice League of America growing up amidst a shadow war against the centuries-old organization the Light, was a grand experiment in storytelling within animation from the minds of Greg Weisman and Brandon Vietti. Often compared to anime in its level of depth and character development (not to mention gorgeous art), Young Justice was a fully developed universe with its own mythology in an opera set across the stars (from Earth to Mars to Rann to Rimbor to War World to Apokolips). 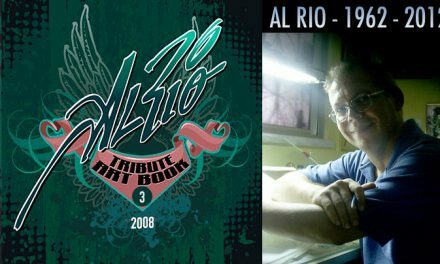 It told a story of youth, innocence (both found and lost), love, war, segregation, betrayal, triumph, and loss. All within the span of forty six television episodes, twenty six comic book issues, and a video game with its end left untold, perhaps forever. While we may never know what this grand narrative would have inevitably emerged toward, we were nonetheless offered clues of its direction. Then, lets take a look at these hints and see if we could posit what could have been. Arguably the biggest clue as toward the direction of Young Justice would be the final moments of its final episode. While the Earth celebrates surviving its destruction at the hands of the Reach, Vandal Savage (founder of the Light and its elder statesman) delivers arguably the most powerful weapon in the universe in the War World to Darkseid, dread despot of Apokolips. A payoff to a thread sprinkled throughout the series since its first season, the involvement of the Fourth World in the series largely grew from the introduction of Sphere, an alien technorganic lifeform provided to the Light via Boom Tube from Apokolips (Sphere is based on the Super-Cycle, first seen as a mode of transportation by the Forever People as a second Cycle would be used by the characters Young Justice is based upon). Boom Tubes would become a preferred use of transportation by the Light from that point. The series would later introduce the Forever People of New Genesis who come to investigate Sphere and come into conflict with members of Intergang, an Earth-based criminal organization aligned with Desaad of Apokolips. 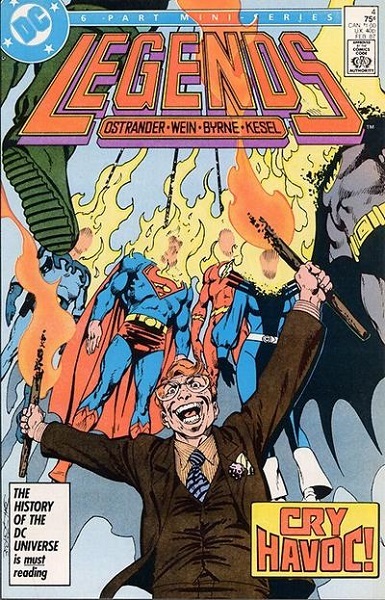 From there, Darkseid’s agent Glorious Godfrey would emerge on Earth as a television personality named G. Gordon Godfrey to turn Earth against the Justice League (mirroring circumstances in the event series Legends). 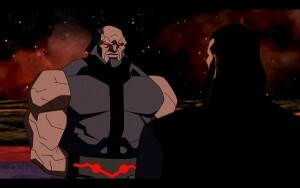 Undoubtedly, the third season would have focused on Darkseid’s assault against the Earth. In the comics, Darkseid had developed an obsession with the Anti-Life Equation, a formula that once uncovered could remove the free will of all those it infects. His end goal the complete enslavement of all creation, Darkseid would discover elements of the Equation on Earth (earlier, he would also find some elements on Mars which his assault upon directly led to its destruction). Since this discovery, Darkseid has repeatedly attacked the Earth only to leave in defeat. In Legends, Darkseid sought to turn Earth against its heroes by sending his agent Glorious Godfrey to have Earth’s people riot and rebel, first against the heroes and later the government. This plot was furthered by Darkseid’s creations Brimstone and Macro-Man that would lead to a United Nations regulated Justice League and an off-book black ops team of primarily super-villains called the Suicide Squad. 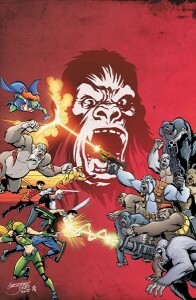 In Young Justice, Godfrey decried the power held by the Justice League so it’s likely in a third season, the group would have significantly more oversight in its operations to allay the fears of people as well as a likely expansion to fill a more global role (drawing parallels to Justice League International in a manner). Belle Reve, the central location for the Suicide Squad in the comics, is already a notable location within Young Justice so it would make sense for the Suicide Squad to emerge (albeit with its more PG name in Task Force X). Suicide Squad regulars such as Amanda Waller, Deadshot, and Count Vertigo had already been introduced within the series. The Squad also has a history with Apokolips beginning when Godfrey is rescued by Darkseid’s Female Furies following the events of Legends where Furies-member Lashina is left behind and suffers amnesia, joining the Squad under the name Duchess. The alliance between Darkseid and the Light also has its roots in the comics. A story was conceived in the 1970s where Darkseid would manipulate a group of super-villains called the Brotherhood of Crime to help him enslave humanity under the guise he wanted to hold the world for ransom (leading to the villains turning on the dread despot when they uncovered the ruse). This concept was altered into the Secret Society of Super-Villains (a term Batman used to describe the Light in Young Justice), a group of villains Darkseid more slyly manipulated into his service to replace Intergang. 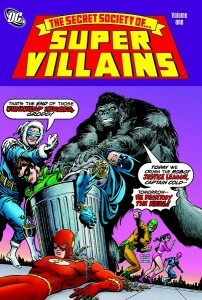 The plot would fall through when the villains refused to submit as slaves to Darkseid. It should be noted, Young Justice had taken time to flesh out the culture of Mars, an active society within the series (which was often portrayed as a dead planet in the comics). Mentioned earlier, Darkseid took an active role in the destruction of Mars when he had his agents Desaad and Kanto kidnap its inhabitants to uncover the Anti-Life Equation. Martian Manhunter’s twin brother Ma’alefa’ak (or, more simply, Malefic) was perverted by Darkseid’s influence, this twisted psyche leading to the Martian creating a plague that wiped out his own species. Young Justice also makes several notes of the racial tension within Mars, the three colors of its sentient species a point of contention (opting to replace Yellow Martians with Red Martians, likely a nod to the Red Saturnians in the comics). Prior to the Crisis on Infinite Earths, Mars’ destruction was attributed to the White Martian Commander Blanx who used the Blue Flame of Mars to destroy the planet (following the Crisis, White Martians would emerge several times as foes of the Justice League). The racial tension is also similar to the context of the beings of Saturn associated with Jemm, Son of Saturn (Jemm, a Red Saturnian hunted by the White Saturnians, was originally intended to be the Green Martian cousin of the Martian Manhunter before editorial changes came into play). In any event, as Apokolips would likely have been a major component of the third season of Young Justice, so would it be likely of New Genesis’ inclusion. 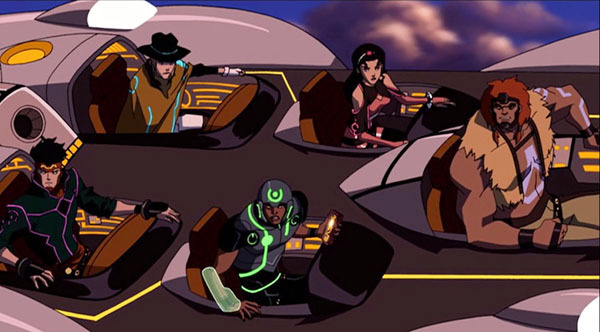 As noted, the Forever People had already emerged in Young Justice as Sphere became a member of the young Team. It would not then be far fetched that this group of youths would become a reoccurring cast of characters within the third season, perhaps joined by another notable young New Genesisian in Esak. A brilliant inventor and protege to the cosmic traveler Metron, Esak’s life is noted by an accident that disfigured his body and mind making him a slave of Darkseid. Other notable New Genesisians include Highfather (their ruler), Orion (Darkseid’s son and nemesis), Mr. Miracle (Highfather’s son), Big Barda (Miracle’s wife and former leader of the Female Furies), Himon (inventor of the Mother Box), Black Racer (avatar of death), and various champions like Lightray, Fastbak, Lonar, and Forager. There is also Metron, unaffiliated with any side and is only aligned to the discovery of knowledge. Following Darkseid’s many attacks against the Earth, the New Genesisians became frequent allies to the planet, in several instances becoming members of the Justice League in its various incarnations (Orion’s pet War Dog Sturmer even given status as a member following its death). 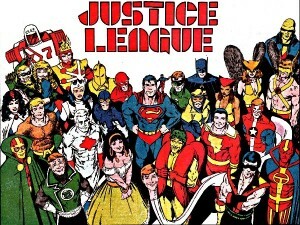 In terms of Justice League membership, you can be sure such would grow in the third season. Viewers were surprised to discover that in its second season, Young Justice would jump forward five years in time. This not only meant new members joining the Justice League and Team, it even meant losing some. Mentioned above, chances are the Justice League might have grown to become a more international presence, perhaps with embassies and teams across the world. This would make sense considering the group had sixteen members at the start of the series and blew up to twenty six in the second season. As the Team officially became members by the end of the last season, this massive cast could likely only be explained if the League took on an international approach (although, its possible it could have taken the Justice League Unlimited route). 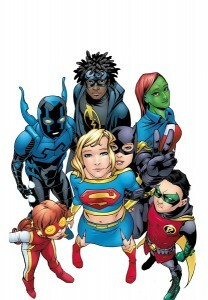 While unknown if the third season would have jumped forward in time and, if so, by how much, it’s likely to have occurred meaning many members of the Team being adults (ten years since journey’s beginning of the series if there was another five year jump), save Superboy who doesn’t physically age due to being a clone. This would mean upwards of fifty members not including anyone else who may have joined outside the last memberships of the League and Team (like, perhaps, Blue Devil, Adam Strange, B’arzz O’oomm, or the Runaways). Also to be considered, if going international, that could mean members outside America like those from the Global Guardians, Great Ten, Rocket Red Brigade, Club of Heroes, and Big Science Action. But surely, if the League expanded, so would the Team. 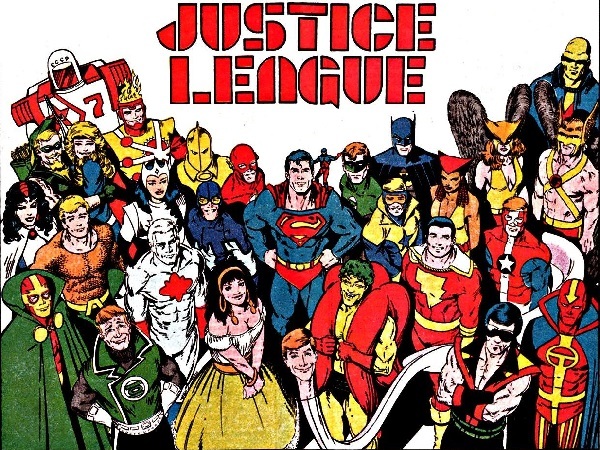 While the Team officially joined the Justice League, it was made clear they would continue to operate independently just with a stronger cooperation with the League and based out of their headquarters. However, if the third season was to jump forward five years as it did with the last season, a new crop of young heroes would be necessary. Further, it’s likely the third season (if intended to be the end of an arc started in the first season) will in some ways mirror the first, meaning similar characters and situations. For characters, this could mean analogies to Aqualad, Robin, Kid Flash, Speedy, Superboy, and Miss Martian. Aqualad’s would likely be the child of Aquaman and Mera, who would be roughly eleven by the time of the third season if it jumped five years. In the comics, that could be Arthur, Jr. (who sadly died as an infant in the source material) or perhaps even Koryak (Aquaman’s illegitimate son with an Eskimo woman in the comics). Robin, later Nightwing, would likely see another Robin perhaps in Bruce Wayne’s son Damian in the comics. Kid Flash would likely see the emergence of the Tornado Twins, son and daughter of the Flash from the future. Speedy could see the arrival of Connor Hawke, Green Arrow’s illegitimate son raised by monks. For Superboy, a likely candidate would be Supergirl, although it’s debatable which version (Superman’s cousin, Lex Luthor’s Matrix, Cir-El, etc). Miss Martian’s could very well be Jemm (considering the point made to switch out the Yellow Martians with Red Martians and Martian Manhunter say Miss Martian is his niece despite being a White Martian). Following in the footsteps of the first season, this group could push to be provided more freedom and perhaps go rogue in a similar manner (but instead of disobeying the elder Leaguers, they treat the Team founders in such a manner). 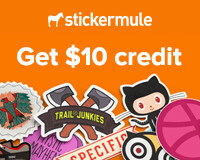 Beyond this group, there are dozens of viable candidates. Names like Black Bat, Air Wave, Golden Eagle, Terra, Ravager, Indigo, Fury, Cyclone, Molecule, Toyman (Hiro Okamura), Kid Devil, Offspring, Thunder & Lightning, and the Wonder Twins a few options (maybe even characters like Gen¹³ or Jet from WildStorm who were unavailable initially). But just as the cast of heroes grow, so must the villains. While the Light would further their schemes by the end of the second season, notably Luthor becoming the UN Secretary-General (which could be a hint at becoming the President of the United States in a third season) and Darkseid acquiring War World, there were nonetheless setbacks. The Light would lose Council members Brain, Black Manta, and Ra’s al Ghul (the former two arrested and latter wounded needing time to recover even with the healing properties of the Lazarus Pit). This could mean the ascension of Talia to stand in her father’s stead as two new members would be sought, Grodd would be a likely candidate after preventing the capture of the Terror Twins and Devastation. The L-5 position in the Council seems to be a game a musical chairs as Ocean-Master was ousted from the position and Black Manta was captured. 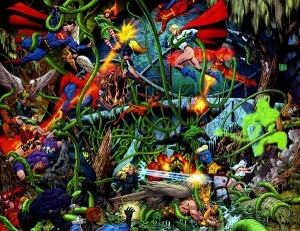 In the comics, few foes of Aquaman hold the esteem of those two enemies named, arguably the closest to their heights would be Kordax, Fisherman, Scavenger, or Siren (Mera’s twin sister). Hugo Strange, an agent for the Light who ran Belle Reve, would be found out and enact a prison break but by the second season, many of the Light’s lower operatives would be captured and more would be taken down (including Deathstroke) while Sportsmaster would turn on them. It’s likely many of those incarcerated villains could become fodder for Task Force X as the Light would need a new enforcer. Arguably, that role could be filled by the Red Hood. 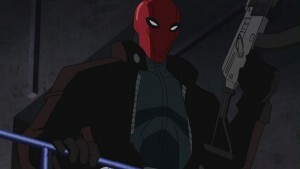 In between the first two seasons of Young Justice, Jason Todd had assumed the mantle of Robin and was murdered. While details are ambiguous, it’s likely the series would follow the source material and have had him killed by the Joker (who, as a side note, could have paralyzed Barbara Gordon between the second and third seasons if the series wanted to introduce Oracle). As with the Red Martians, it seems unnecessary to have gone through the trouble of establishing Jason Todd without a plan down the line to resurrect him as the Red Hood as he was in the comics. Taking out Sportsmaster and Deathstroke in the second season seems to have opened a wide door that could easily introduce the Red Hood as a new enforcer, someone who can read the Batman so well, it would also seem like he was trained by him. His time within the Team, as well, would prepare him with a knowledge of all of their weaknesses. The third season could introduce quite a few more recent villains to make-up for the imprisonment of more well known rogues. Characters like Doomsday, Blood Syndicate, Gog, Prometheus, Solaris, The Elite, and the Titans of Tomorrow could materialize as new, dangerous threats. In the same vein of Jason Todd returning from the dead, another major plot point could involve the resurrection of another hero. The death of Kid Flash (Wally West) was a major turn in the final episode of Young Justice. Of the Flash legacy, many of their line have died in the comics only to return. In the comics, Barry Allen as the Flash would give his life during the Crisis on Infinite Earths while his grandson Bart Allen as the Flash would die fighting the Rogues. At one point, Wally West as the Flash was believed to be killed by his foe Abra Kadabra and the Walter West of an alternate timeline arrived to take his place as the Dark Flash. Wally would return (leaving Walter to depart) and at some other point would be transported to another world following his battle with Superboy-Prime during Infinite Crisis where it was believed he was lost. Wally would be saved by the Legion of Super-Heroes (childhood friends of Superman from the 31st Century) who had returned to the past to resurrect Bart Allen with high-tech lightning rods during the “Lightning Saga.” In the future, when the Legion is attacked by Superboy-Prime during Final Crisis: Legion of 3 Worlds, they resurrect Bart to help fight him. For Young Justice, a few nods have been given to the Legion of Super-Heroes. First is the use of Interlac, an intergalactic language created for the Legion comics but used in the series as the language of choice among aliens including Lobo, Kroloteans, and Brainiac (as the Collector of Worlds). There’s also the use of Rimbor, the world a mind-controlled Justice League was sent by the Light to raze, known primarily in the comics as the birthplace of Legionnaire Ultra Boy. Another point of note is the death of Wally. It’s a popular trope that unless there’s a body, a character isn’t technically dead. In Young Justice, Wally didn’t so much die as he dissipated. Falling in the line in such a manner almost begs some plot device that his essence be collected and restored. The events of “Lightning Saga” and Legion of 3 Worlds seems to lean heavily in this direction.